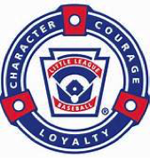 Welcome to Eastchester Little League Softball, the only officially chartered International Little League organization for Eastchester, Tuckahoe, and Bronxville. We are the number one organization for girls’ softball, and provide a full range of playing opportunities for girls of all skill levels (ages 4-12) who reside or attend school in the Town of Eastchester and the Villages of Tuckahoe and Bronxville (with no other eligible little leagues within their immediate area)..
We offer fall and winter skill and pitching clinics; a full spring season of recreational play, which includes games against neighboring Westchester little league organizations that make up New York’s District 20; all-star teams whose members compete in the televised Little League International Tournament; and summer and fall travel programs. For more information about Eastchester Little League Softball call Robert O’Hare, VP Softball, 917-327-0917 or email robert.ohare@verizon.net.